Which Social Media Platform Is Right For Your Etsy Shop? Social media is the most effective low-cost promotional tool for your Etsy shop. By using social media marketing to your advantage, you can grow brand awareness, connect with customers, and reach new potential buyers. Each channel has its own good and bad, making each one appropriate for different styles of promotion. Happy New Year friends! My annual tradition of selecting a word for the new year has become one of my favorite posts. It really gives me an opportunity to reflect on the past year and to see if the word for that year was the right choice. My word for 2018 is Fearless. Running an Etsy shop can be time consuming and stressful, especially if you have many items in your shop. So, I’m always on the look out for sites or apps that will make my life easier and quickly do tasks for me. I’ve had my Etsy shop for about 4 years now and I haven’t been active with it for all of those years. So, it’s experienced a little bit of neglect. But, since the beginning of the year I’ve been working on it every day diligently. But, as much as I search for the perfect keyword or the enticing product description. If I don’t have good pictures I will, most likely, not be selling much. It’s the time of year when we think about what’s happened the past year and what the new year holds in store. Resolutions to improve and do things better are on everyone’s list and I’m doing lots of reflection myself. My word for 2016 was Focus and I started the year with that very thought in mind. But, sometimes the very best of intentions doesn’t work out. For 2017 I’ve chosen the word Healing. I’ve tried to capture The Art of Healing in this journal page. This past year I took steps to sell some of my items on wholesale to shops and boutiques. 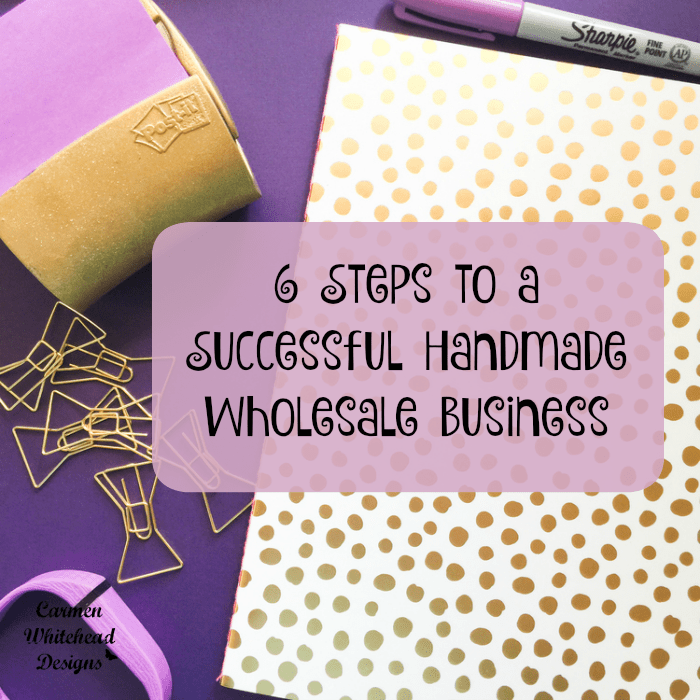 I had been planning and researching this process for a while and I want to share 6 steps to a successful handmade business that I found to be essential. After selling my original art, prints, journals and note cards at craft shows and my shop, I decided to move into the wholesale market.